1ST CALL TRANSPORT Service is a professional mortuary removal service company established for families and funeral home directors by providing reliable mortuary transport services anytime you need it. Our goal is to make the family's first encounter with your funeral home a positive one. We are just a phone call away - any time of the day or night, 7 days a week. We give due respect to the deceased as well as those he or she has left behind. We make sure to always be mindful of our words and actions all throughout the conduct of our duties. 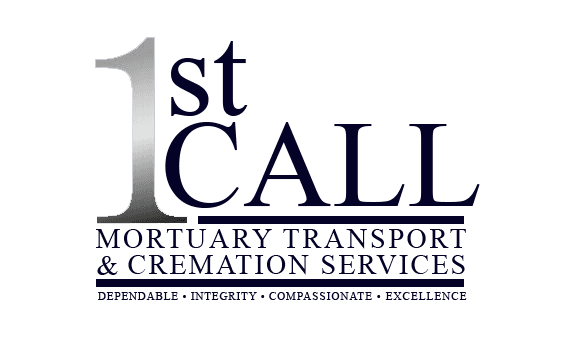 1ST CALL TRANSPORT was established in December 2012, to provide primary outsource mortuary services and funeral home transport services in Louisiana, to and from contiguous states. We have 5 transport vehicles, we operate out of our main office Gonzales, LA. We are a premier support service, Louisiana mortuary transportation provider for funeral homes, coroner's, etc. Providing hospital, nursing home, residential removals, airport pickup and delivery, casket, long haul, and crematory transportation. We take pride in serving our clients with D.I.C.E. or Dependability, Integrity, Compassion, Excellence. Our service goes beyond the regular funeral home transport service because we treat your family like they were our own. We make sure to provide utmost respect and care each and every time we perform our duties. We very well understand how families and friends who've lost a loved one feel during these times and we do our very best, not just to provide safe and efficient transport services but also extend the courtesy and respect they deserve. When we come to you, you can always be assured that we'll approach you in a professional, yet friendly manner. We make sure that our representatives are always properly dressed and act in accordance with the situation. We always mind our words and actions in front of our clients, and at all times during the performance of our duties. Call us today and experience exceptional service you're certain to love!